Losing control over your employees or your students? When you feel lost, you need to focus and remove all the negative points. 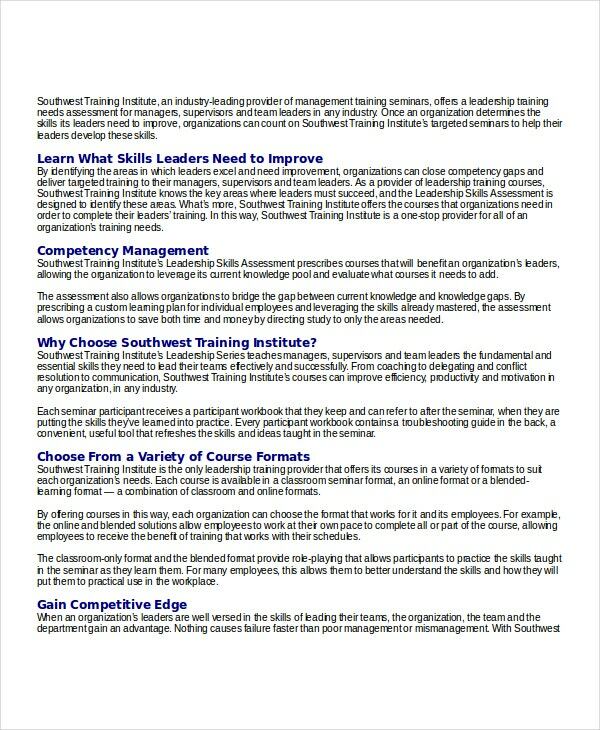 These skills assessment templates will help you gain a deeper and quality specific understanding of your employees or students, which can change your perspective about the direction you should lead them to for a better result. The following template will give you a brief understanding as to what you should do or the questions you should ask while conducting a skill assessment. You may also see Training Assessment Form. This pre-application skills assessment is specifically designed for the financial stream and is a great example to be inspired from. The detailed format helps gain all the essential information about the applicant. You may also see Competitive Analysis Template. Technical skills assessment template helps analyse the technical expertise and has specifications like implementation skill, critical action steps and more. This is an extremely detailed assessment template available in Pdf format. 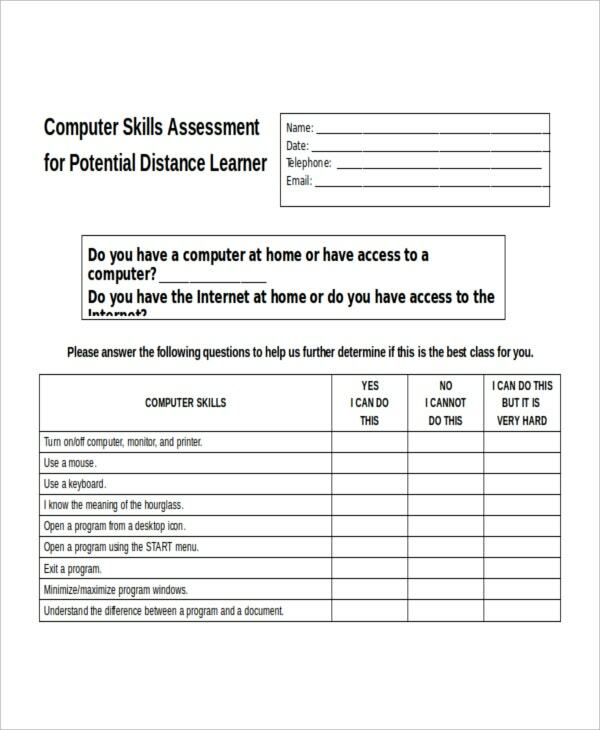 It’s an excellent example of computer skills assessment template and can get inspired to devise your own questionnaire. 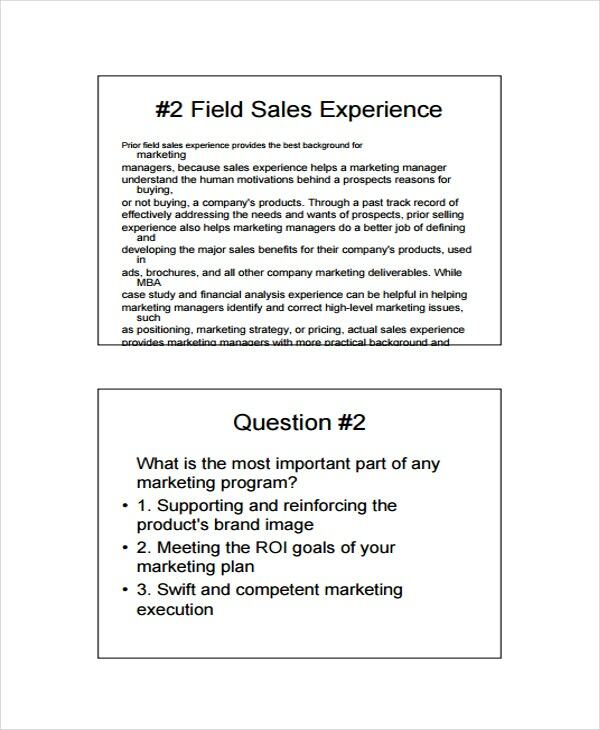 This is a free assessment template in an MS Word format. 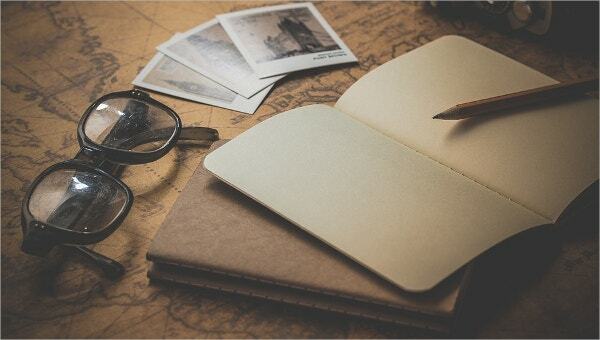 This template contains a series of questions and brief analysis of various important experiences which define and mould the marketing skills of an individual. This is a free downloadable template in Pdf format. 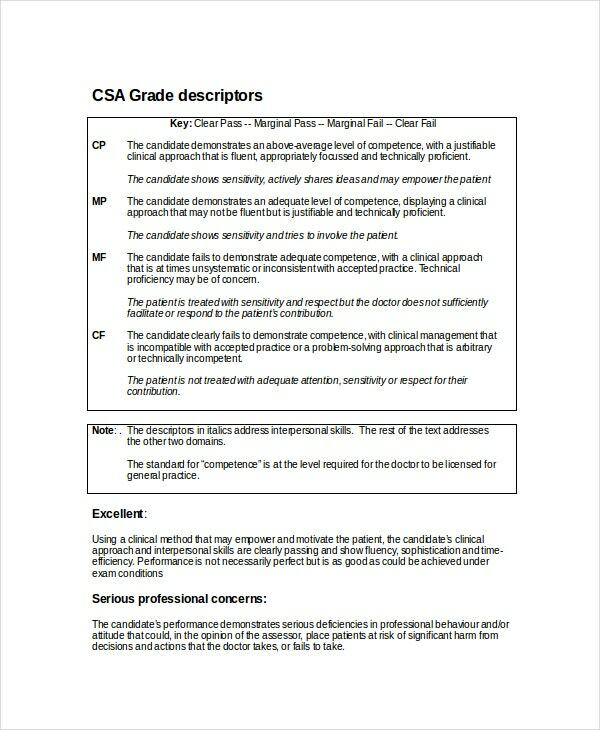 This template contains essential information about staff skills and criteria’s & qualities under which they should be judged. This is free for download template and is available in MS Word format. > What is the Role of Skill Assessment Templates? Skills assessment templates are necessary to keep out the shortcomings and loop holes through the understanding of the applicant’s talents and weed out unsuitable candidates in the same process. These help define performance-based assessment terms as much as possible. Here the applicants need to demonstrate the application skills which they have gained through studies. You may also see Budget Analysis Template. 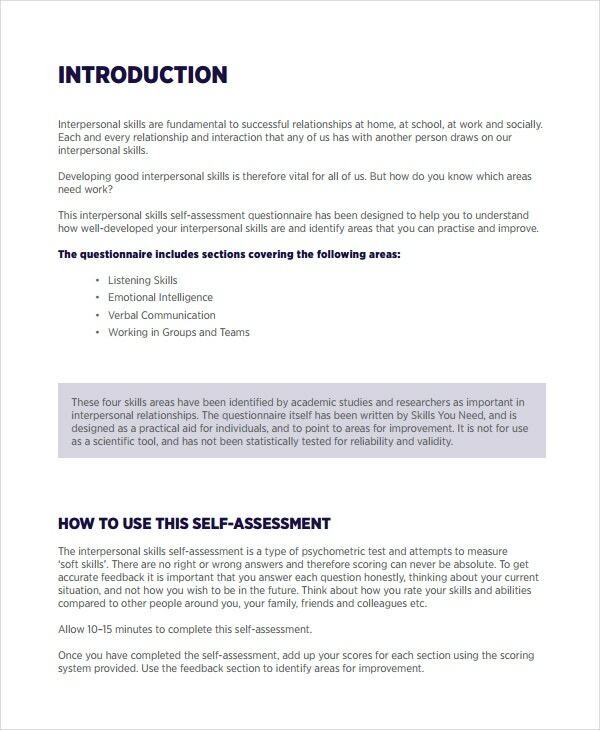 Furthermore, these assessments help understand the readiness during the process of implementation and the self-assessment capacity of an individual. They come in handy while analysing the capacity of an individual and to plan out activities which are performance oriented. Thus, these templates are widely used in the professional environment and across all career platforms. > What are the Benefits of Skill Assessment? Skill assessment leads to the measurement of competency gaps within the organisation allowing you to proactively address them and focus on areas which have the maximum effect on business performance and overall profitability, thus making your limitations your strengths. Assessments give a sense of performance to the employees and help them understand the qualities they need to develop for the road towards success. 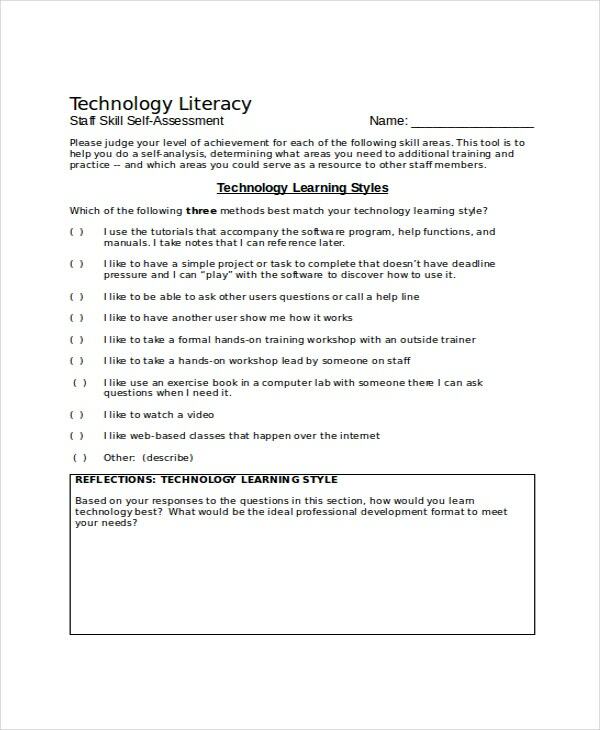 You may also see Lesson Plan Template. In turn, the organisation benefits as individual performance levels rise steadily. In the education environment, assessments are an integral part as they directly affect decisions regarding placement, instructional needs, funding, change in curriculum and image of the institute. Today’s students benefit a lot through this as soft skills are also analysed as they are an integral part of the personality of a successful individual. > What is Skill Assessment? Skill assessment is a commonly used tool in the corporate and education sector to analyse the proficiency of a person in his field of specialisation. It is a tool used for job hiring, scholarships, student applications, migration, etc. In the education field, it is important to analyse the quality of education provided in reaching the students. You may also see Vendor Analysis Template. This helps in the realisation of the depth of understanding of their own subject matter. Most importantly, it is a way of recognising the qualities and knowledge base regardless of the person receiving formal training. Thus, allowing candidates qualified for the job in terms of ‘Max Skills’ to undertake the appropriate responsibilities. Skills assessment templates will help ensure that the people you select for a particular job are actually qualified for it and would weed out fake applicants. These templates will help understand the details for drafting your own assessment sheet and give you the means through which you can select the perfect employee or the student.